This Dr checked me out thoroughly and recommended many changes that actually made me feel better… other than those darn feet, joint pain, sleep problems… things to complain about, but nothing so alarming to make me think something serious was wrong….yet. By my second visit a few weeks later I began to mention the feet in particular as they were worsening… I thought the Dr could fix it. Throughout summer they worsened by the week, as we tried a few things that didn’t help. A simple Yoga class that summer made me feel older than the seniors in it, because I had to sit down a lot from tiredness, joint/muscle pain & especially my very sore feet. I was just 52 then and everyone was quite a bit older than me in the class…. this really concerned me. By the end of summer I was very concerned because nothing made sense as the pain mostly in my feet was getting out of control! More natural treatments, chiropractor adjustments didn’t help at all. I was losing interest in anything physical including my job by this time because I just couldn’t do it! I was going to have to quit my job! Sept/Oct were months I’ll never forget because by then my feet felt like bone crunching knife stabs with large areas of cigarette burns or scalding hot water burns as well as these pains extending up the top and ankles and beyond! It was progressing at an alarming rate and I was scared! A lot of other strange feelings had happened like ear sounds, eye sight changes, popping joints, face & hand sensations that finally just landed me in the hospital after my own Internet searches came up with possibly Peripheral Neuropathy of all things which scared me to death! Yup, the hospital Neurologist confirmed it, I was right, Peripheral Neuropathy! I went home completely in shock, but determined to figure out why in the heck a healthy, working, busy mom & wife could possibly have this! I couldn’t sleep at all anyway due to the pain getting so much worse, so after beginning some medications that helped little, I spent my nights (I slept on average 3 restless hours a night) and days researching over 200 causes for this horrible condition that only worsened by each month to come. 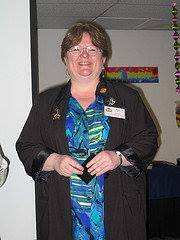 Diabetes was out first because I had no blood sugar problems as of early May 2007 blood tests…. that being the #1 cause of Peripheral Neuropathy. I then began what felt like a life and death search for WHY… what was the cause. Obviously by this time I had long ago lost my job that I loved so much and the ability to take care of my family! Tens of thousands of dollars later even after medical insurance, and over 15 different specialists, blood tests until I had no more veins, upper & lower GI’s, painful EMG’s-Nerve Conduction tests, etc. Since I had earlier lost my job, half our income was gone now! My young teenage daughter felt tremendous stress as she thought her mom was gonna die, and my poor husband landed in the hospital in the middle of this mess because stress affected his heart so badly worrying about me and money! We finally went through ALL our savings, and nearly lost our home (and my mind)! Not one single Specialist could tell me what caused this severe Peripheral Neuropathy and I was further miserable because of all the medications and pain pills I had to take along with their side-effects. It took me over 1 year but I FOUND IT! I bumped into a small little record of my medications at the pneumonia stage which fit exactly in my medical records when pain began. 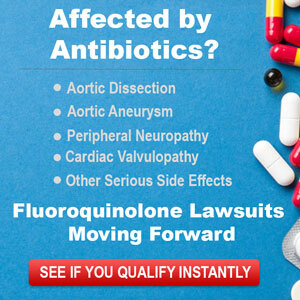 I then searched out the word LEVAQUIN, a strong antibiotic in the Fluoroquinolone family and THERE IT WAS! I CRIED FOR HOURS! I had TRUSTED my Doctors and had been POISONED by the antibiotic Levaquin they gave me! An antibiotic caused my severe adverse reaction which affected my entire nervous system destroying my nerves as it flowed throughout my body! Since then I have suffered like never before in my life. I now have severe Peripheral Neuropathy in my legs, feet, arms, hands, shoulders and more. I’ve used just about every drug possible to help the pain, but it is always there 24/7. Drugs just take a dent out of it and that’s about it…. other than of course, the added unpleasant side effects & dependencies of these “aids” which I detest! Accepting that I now have a severe and permanent disability is devastating!Depression is certainly a concern for the first time in my life… how do human beings cope with this?! Severe stabbing, burning, electric jolts, terrible insomnia, severe multiple joint pain, muscle spasms and twitching, tendon damage and pain, arm & legs weakness, numbness, Carpel Tunnel, Ulnar elbow neuropathy, impaired coordination, memory loss and forgetfulness, extreme fatigue, palpitations, blurred vision, temperature control in all limbs completely out of whack, and more! Sometimes the pain is so severe I writhe in bed crying! I was once what I considered a very strong woman…what the hell happened?Bitterness against the Dr and the Drug Company causes so much more pain – not good at all. I have to use a cane now because I am unable to walk more than a short distance, and the few times I do get outside the house I use an electric wheelchair which has crushed any ego I had left. I just don’t trust Doctors anymore, but I have to use their prescriptions just to cope along with their nasty side effects like weight gain, dizziness, foggy brain, sleepiness, confusion, etc. This chronic invisible illness has changed my life forever! This is no way for anybody to live! I don’t deserve this! I hate to think of anyone else living with this horror! On top of all that I have lost my job, all my income, all my families savings, some of my husbands health, along with the severe pain I live with 24/7, I’ve lost the ability to be a good wife & mother, and that hurts me to the core! Watching the pain in the faces of my family is the saddest of all. And difficult as it is to admit, I may now even lose my 41 year marriage. My heart aches for those who have Peripheral Neuropathy and all the other conditions I have. And I hate that the Drs label us with diagnoses of “idiopathic” meaning without a known cause… and that makes me really wonder just how many people never link their health problems back to the antibiotics called Fluoroquinolones such as Levaquin, Cipro, Avelox, Floxin, etc. and don’t even know it’s due to delayed toxicity, mislead-lead Doctors, and greedy pharmaceutical companies who covet money over human beings! How dare they!! Hi- I had and still do ( to a lesser extent) most of your symptoms- especially the burning feet which I have been dealing with for almost 30 years.I think i might be able to give you some tips that might help at least a little- please emall me if you would ilke to chat.